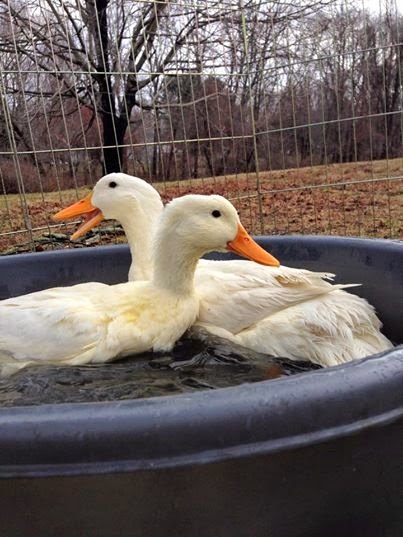 What's new on the Farm: Northeastern Poultry Congress and our new Ducks! Since my last post, there have been a few major changes, but otherwise everything has pretty much stayed the same. I have been very busy between a very busy life, and also writing blog posts for the My Pet Chicken Blog on commission. I have tried to keep giving updates on our blog's Instagram and Facebook for all our loyal readers. 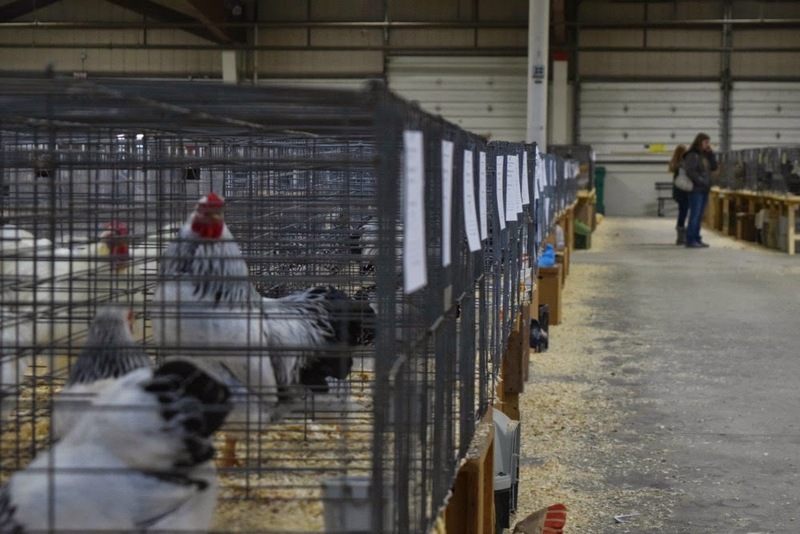 Most recently, I attended Northeastern Poultry Congress with My Pet Chicken for the first time and had a blast! We photographed chicken keepers' chickens for free, met lots of enthusiastic poultry keepers, and looked at all the many birds being shown there. One of the best parts, in my opinion, was when I purchased two female Pekin ducks! I have been interested in Pekin hens for a while and when I finally found some I sprung at the opportunity! They are going to make a great addition to our farm! We are hoping to add some geese to our farm this Spring as well, so stay tuned! Our two new Pekin ducks Daphne and Daisy going for a little swim! This fall we also visited Spring Woods Farm and made a big decision! 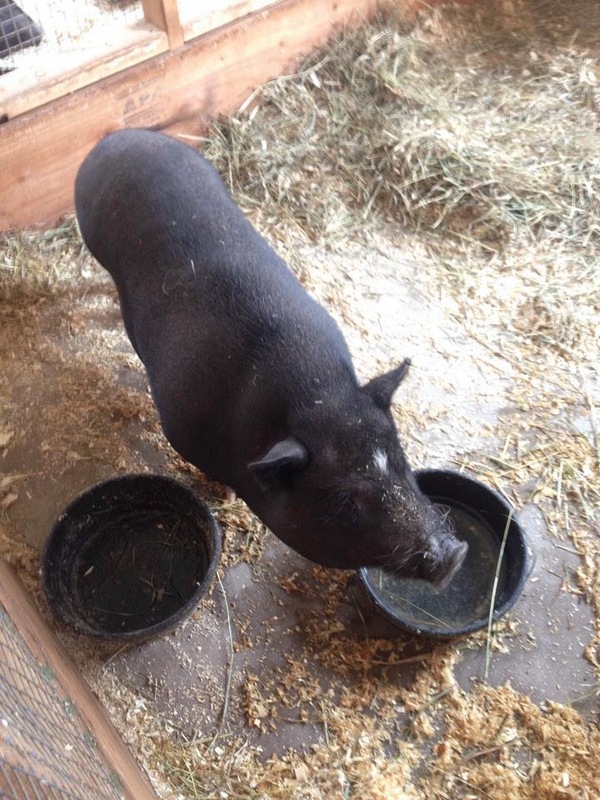 We have put down a deposit for one of their Potbelly Piglets this spring! We met all their pigs, their chickens, goats, and dog! You may have seen them on Animal Planet's video series "Too Cute!" where their piglets became celebrities! We are all very excited for our piglet, who will room with the sheep once matured. As you can see our farm is expanding rapidly, which makes things here more and more fun! Stay tuned for more posts with farm updates, I should have some soon! We also reached the milestone of 20,000 page views, which is a big deal! Thank you to all of our viewers who provide us with support and share all the farm fun we have through our blog posts!